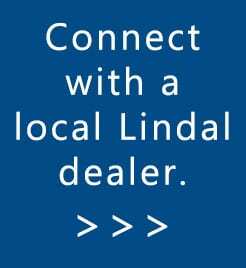 Connect with a Colorado Lindal dealer today. Lindal dealers offer site visits, design assistance, pricing, and facilitate materials delivery. They will help connect you with reputable home builders in Colorado. Together, we will take your dream home from original conception to livable reality. Click to select the dealer of your choice from the list below. Contact them for information on home designs, pricing, and a free consultation and site visit. Majestic Peaks Custom Homes: Colorado, Utah, Kansas, Arizona, Nebraska, New Mexico, Oklahoma, Texas, and Wyoming. Vaussa Group: Steamboat Springs and surrounding area. Did you know that many of the original kit homes in Colorado State were Lindal Cedar Homes? Lindal started in the boom years in the US and Canada following WWII as a company selling floor plans and exterior materials packages. Lindal provided wood of a quality not available at the local lumber supply facility, including the Western red cedar sourced from Canadian forests in the Pacific Northwest that is used in our post-and-beam construction to this day. These kit homes were delivered to sites worldwide. Ambitious home builders in Washington and elsewhere built thousands of Lindal homes over the years. Today, we continue to operate through a network of local independent Lindal distributors and custom home builders in Washington State who help our clients through every step of the design and build process. Though current regulations and permitting issues make it difficult for people to build their own new home as in times past, many of our more entrepreneurial clients still take an active part in the design, construction, and finishing of their beautiful new home. Find out why Lindal is known not only for designing the preeminent kit homes in Washington State, but for over 75 years of working with new home builders and creating beautiful custom built homes in Washington. Read more about Kit Homes in Colorado and elsewhere. Lindal bridges the divide between the kind of pre-built home that Colorado home builders will construct for a development company, and fully custom built home in Colorado. That’s because our design system gives new home builders in Colorado several options for going through the design/build process. From initial design to 3D rendering to newly constructed dream home! Lindal Cedar Homes’ design services program options help ensure you get the home you want, built for your site, budget and lifestyle. Take a plan straight out of one of our home design plan books, modify an existing design, or work with our architectural designer for a fully custom creation. Many homeowners use their favorite Lindal plan from one of our home design plan books as the point of departure for creating their original home. A few simple modifications can have a great impact on the style of your Lindal home. Some changes are as simple as the choice of exterior materials and accents, or a change in the shape or placement of windows. Your local independent LindaI dealer will help you explore the many ways that such modifications can have a tremendous visual, lifestyle, and budget impact. Start with one of Lindal’s plans or join the growing number of homeowners who design their own Lindal original from the ground up. After your ideas and budget are outlined, your dealer reviews your plans with Lindal’s Design Team, who will provide you with a quick sketch to show you what your home will look like. 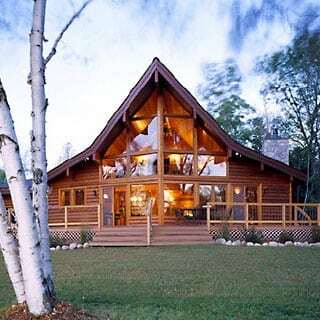 We also give you the approximate Lindal package price based on the information and personal Lindal specifications you provide, such as the type of siding, style of windows, placement of cedar ceiling liner, etc. Your dealer is your personal contact with Lindal Sketch Services and your guide to designing your new home. For a custom-fit solution to your new home, we partner with you, your Lindal dealer, and our architectural designer, who uses advanced meeting and visualization methods in an engaging and efficient manner. Our process includes live design reviews in online meetings where decisions are made on plans and digital models. This approach honors and fulfills your wishes for a collaborative approach to custom design within Lindal’s post-and-beam system. Learn more about OM Studio Design Services.